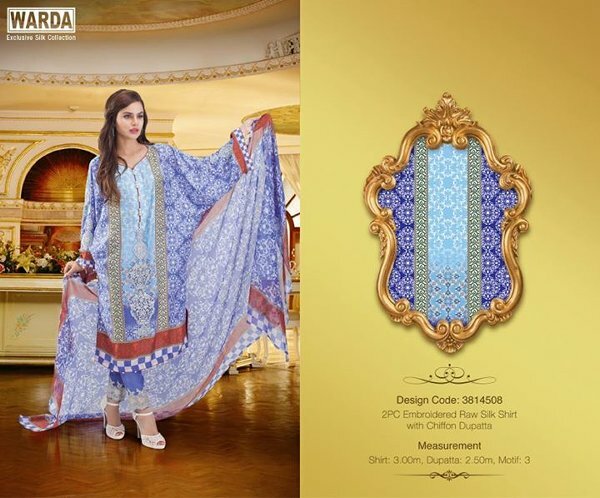 Recently, Warda Designer silk dresses 2014 for women have been launched. Firstly, we would like to discuss the brief introduction of Warda Designer as a brand. Well, Warda Designer is considered to be popular and well known clothing brand for women. This clothing brand has been working since many years ago. It provides wide variety of women clothes at affordable prices. 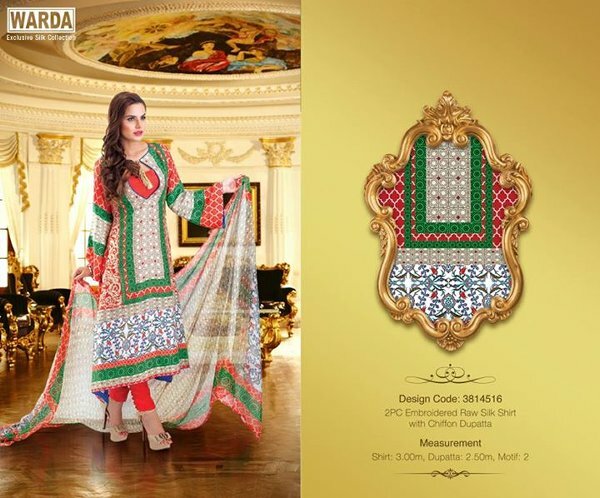 The main product lines of Warda Designer are casual wear, party wear. 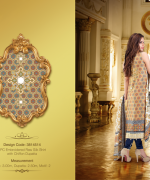 Basically, Warda Designer launched its collections in unstitched and ready to wear pattern. For each season and festival, Warda Designer launched its so many collections. Now for winter season, Warda Designer launched its new collection. 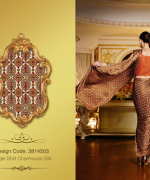 Recently, Warda Designer has launched its new silk collection 2014 for women. 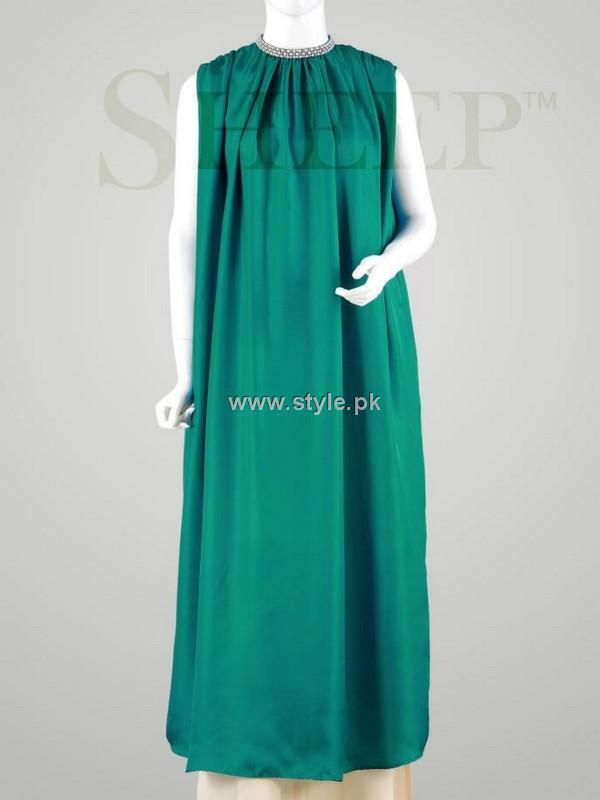 This collection includes wide variety of silk dresses. 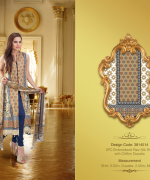 Basically, Warda Designer silk collection 2014 includes three piece suit. Each three piece suit includes the fabric of long shirt with dupattas and trouser. 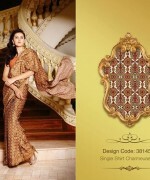 Moreover, you will also find beautiful silk sarees in this collection. Warda Designer used high quality and pure silk fabric in all the dresses. If we talk about colors then Warda Designer used bright and dark colors like pink, white, orange etc. All the silk dresses are designed according to new stitching styles. Furthermore, all the long shirts are adorned with beautiful embroidery work and prints work. In this collection, Warda Designed used pure silk fabrics so the price range is expensive. 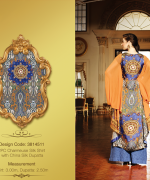 Few pictures of Warda Designer silk dresses 2014 for women are given below. 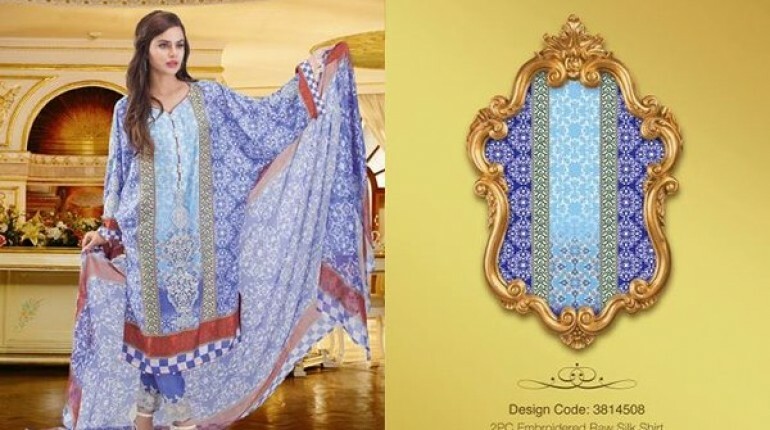 This new collection is now available in all the stores of Warda Designer. If you want to know the price range of this collection then visit its facebook fan page. The link is mentioned below. Overall we can say that Warda Designer silk dresses 2014 are beautiful and elegant.